Mayor Thomas Sims called the regular Council Meeting of November 09, 2015 to order at 7:30 P.M. Everyone joined in the Pledge of Allegiance. Council Members Angelo Cilluffo, Alan Palmerson, and Julie Zehe answered roll call. A motion was made by Councilperson Zehe with a second by Councilperson Cilluffo to excuse Councilpersons Ruymann and Fallow. A motion was made by Councilperson Cilluffo with a second by Councilperson Zehe to accept the regular minutes of October 12, 2015. Motion carried. Oakville Rodeo Grounds wants to annex to the City and will have a letter and representatives at the next meeting to answer questions. Lt. Porter was present at the meeting and gave council a written report or recent activities in Oakville. 2016 Budget – Discussion on details of Revenue and Expenditures expected for 2016. Further discussion and first and second hearings on the 2016 Budget will be held on Nov.23 and Dec.14. Code Enforcement – Don Terry submitted an updated report on Code Enforcement activities in town. Letter to Citizens in Proposed Annexation Area – letter explaining the use of property tax money collected from residence inside city limits will be mailed out to those citizens. Levy Letter – Motion was made by Councilperson Cilluffo and seconded by Councilperson Palmerson to Levy a Refund Levy to recover taxes that were refunded or cancelled during the last twelve months. Motion carried. Motion was made by Councilperson Cilluffo and seconded by Councilperson Zehe to build a concrete block building. Motion carried. Motion was made by Councilperson Cilluffo and seconded by Councilperson Zehe to use the GHPUD to hook up the power. Motion carried. Motion was made by Councilperson Cilluffo and seconded by Councilperson Zehe to use DJ Blake construction to install the carrier pipe. Motion carried. Motion was made by Councilperson Cilluffo and seconded by Councilperson Palmerson to purchase the remaining booster pump and equipment. Motion carried. Council decided to get another bid for the electrical work that the site will require. Security Camera - Motion was made by Councilperson Cilluffo and seconded by Councilperson Zehe to add security cameras to view the City Park, utilizing Fusion Security to install. Motion carried. Swing Set – Council wanted to see more bids before proceeding. Townsend Agreement- Motion was made by Councilperson Cilluffo and seconded by Councilperson Zehe to accept the Townsend Agreement to purchase his booster pump. Motion carried. 2016 Property Tax Levy – Further Discussion and hearing will be held on Nov. 23rd. ORD #608 City Park and Cemetery Rules - Motion was made by Councilperson Cilluffo and seconded by Councilperson Zehe to build a concrete block building. Motion carried - Roll Call Vote: All YES. Clerk-Treasurer Amy Durga, submitted: Checks #18271-18283 dated 10-27-15, in the amount of $5,537.38. Checks #18284-18299 dated 11-05-15, in the amount of $12,822.57. Payroll Checks #12432-12449 dated 10-29-15 in the amount of $13,609.81. Councilperson Cilluffo would like to see more streets fixed with tax money if possible. Mayor Sims would like to see a new swing set installed in the City Park, sooner than later, due to safety concerns. Mayor Sims recessed the meeting to November 23, 2015. Mayor Thomas Sims called the recessed Council Meeting of November 23, 2015 to order at 7:30 P.M. Everyone joined in the Pledge of Allegiance. Council Members Angelo Cilluffo, Alan Palmerson, Traci Fallow, John Ruymann and Julie Zehe answered roll call. Full Quorum present. Mayor Sims opened the 2016 Property Tax Levy Hearing at 7:31, no comments heard, closed at 7:32. Mayor Sims opened the 1st 2016 Budget Hearing at 7:32, no comments heard, closed at 7:33. 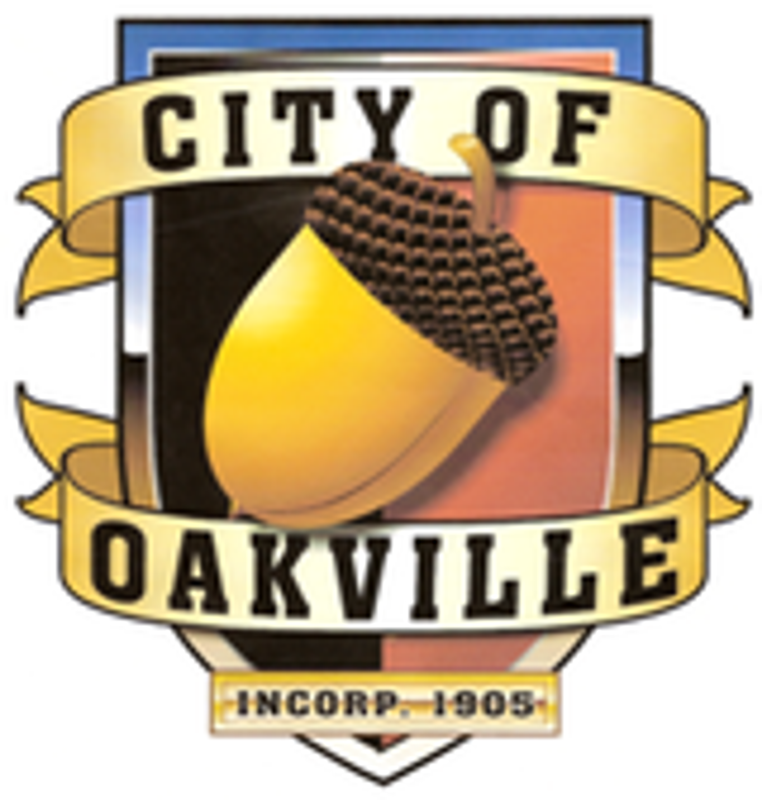 Mayor Sims received a letter asking for donations to the Giving Tree for Oakville, He wants to check with the Attorney to see if the City of Oakville can donate. 2016 Budget – Discussion on details of Revenue and Expenditures expected for 2016. The council received a letter from the Oakville Rodeo Grounds (OREC), wishing to annex their property. Motion was made by Councilperson Cilluffo and seconded by Councilperson Fallow to formally accept the letter and move forward with the annexation process for this property. Motion carried. ORD #609 Property Tax Levy - Motion was made by Councilperson Cilluffo and seconded by Councilperson Palmerson to pass version C, which allows for the regular 1% increase plus the previous banked 1% for a total increase of $1679.00. Motion carried - Roll Call Vote: All YES. Clerk-Treasurer Amy Durga, submitted: Checks #18300-18312 dated 11-19-15, in the amount of $30,648.61. Motion was made by Councilperson Fallow and seconded by Councilperson Cilluffo to accept the Clerk’s Report as presented for payment of the bills. Motion carried. The Mayor and Council wished everyone a Happy Thanksgiving. Councilperson Cilluffo would like to make sure more streets being fixed with the increase in property taxes.